The white noise machine is pulsating in the background with the sound of rain as my punky doodle sleeps. Footsteps scurry in these wee hours of the morning like a quiet mouse. Final touches are being put on birthday surprises. A little message propped at the coffee pot. A gift sack waiting with glee sharing same space. "to my very best friend, my husband, Happy 50something birthday. The smell of turkey will fill our home with aromas in the afternoon that set our feet a dancin'. A traditional repast with loved ones to give thanks for punky doodle's life that has made eyes glisten, hands raise, knees bend, hearts sing, arms embrace. The Word of God invites us to go deeper. "Put out into the deep." Lk 5:4 Lent is a good time to reflect and ask the Lord to do a mighty work within us. Here is how I was instructed to put out into the deep while on retreat a few years ago. When we talk about being afraid of what others may think, we can go before our Lord and ask that we be without shame before God and man. Satan doesn't want the child of God within exposed. In the early church they were faithful. They exposed themselves and mighty things happened. If there's any area of our life that needs to be addressed and brought into the light we can ask Him to show it to us now. Anything. We can let Him know we want to receive the fullness of light and truth. Say, "Do it Lord. Let it be done according to your Word." Say, "Lord, I believe, help my unbelief." Go deeper. Ask more questions. Consciously give Him permission to help you see your life clearly from the moment of conception to the present time. Ask that you see it clearly, specifically in dreams. Say, "I give you permission." Ask what He wants you to look at. for ex. fear, discouragement, uncertainty. Say, "I can't put my finger on it. Show me, Lord. Tell me more about why I feel this way." Say, "Dear Jesus, help me to be like a child so I can simply see what you are speaking to me and showing me." Ask, "What is preventing me from bearing new life or bringing new life?" Ask Him to bring power into every area of your life. Ask, "Is there any pain I have not expressed, suppressed or repressed in my childhood? Ask, "Do I still harbor any feelings of shame where I felt shame? And ask Him to bring healing to it. May the Lord bless and keep you and give you His peace. Who have you given power to in your life? Who have you not forgiven? but what we are asked to do is will it. to do what is right. demonstrates the action of mercy. Early one August morning, my husband, a priest friend and I went walking briskly along a street in Fatima, Portugal, a pilgrimage site. There laying on the side of the road was a branch of a tree. Knowing my father was back home and using a cane, I thought of him. Despite the fact that it was over four feet long, I was determined to get it home on the airplanes and have it carved into a special staff for him. It felt a little awkward carrying that branch through the airports on the way back, and especially onto the planes hoping I could find a place to put it. Fortunately, each airborne leg of the journey had a place where it could be stored. In September, after settling back home, I eagerly called a wood carver--an acquaintance--to ask if she could carve the stick so I could give it to my father for his birthday in December. When I left it at her house she told me, "Get back with me about what you want me to carve on it." Months passed. I hadn't called her back yet. Finally, in November when I did, she said, "It's finished!" "Finished?" I questioned. But I hadn't even informed her what to carve. Somewhat apprehensive, I hastened to see what she had done. 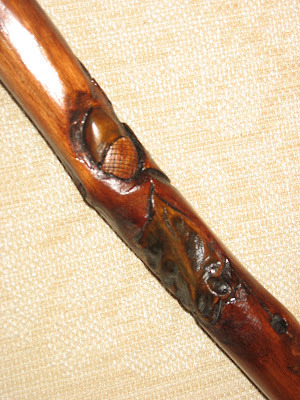 She presented me with a transformed stick, now a glowing staff and said she was impressed to carve acorns and oak leaves on it. Acorns. How did she know? 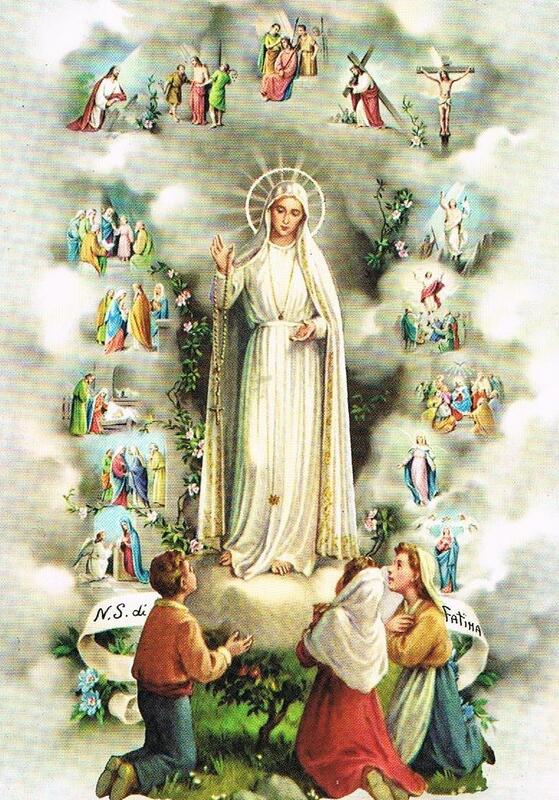 Acorns were significant in the story of the shepherd children of Fatima who saw Our Lady. After the first apparition when the three children would leave home to go take care of the sheep, the littlest one, Jacinta, became very concerned about doing as Our Lady had instructed them, "Pray the rosary and make sacrifices for the conversion of sinners." She began to desire to give her lunch to poor children she saw begging. 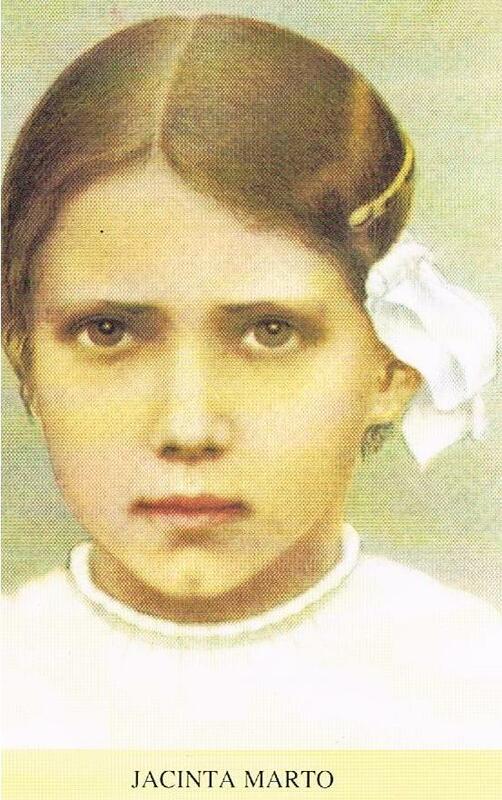 After getting hungry herself, Jacinta decided to eat the bitter acorns from the oak trees nearby, for the conversion of sinners. Acorns. My acquaintance carved acorns and didn't even know, had never heard the story before. But the Spirit moved her, inspired her and there was the walking staff before me with that unique symbol of sacrifice--an offering for the conversion of other souls. A seven-year old child could make such sacrifices. Surely, I could too. A transforming message was carved in my heart that day. One I will carry with me the rest of my life. In the Gospel of St. Luke Chapter 1, the scripture story tells about the Angel Gabriel appearing to Mary--and announcing that she will conceive in her womb and bear a son, and name him Jesus--which means Savior. The story reveals Mary's humanity by saying she was deeply troubled--we can all relate to that feeling, right? and yet,... she listened to the angel and eventually said,..."be it done to me according to His word." In this mystery we pray for the grace of joyful surrender to His will. To surrender means we give to God all that we are about--just as we are--whether happy or sad, anxious or serene, fearful or confident, doubting or believing. This is a beautiful action we can make each morning from the moment we arise from slumber-a surrender to His will like Mary at the Annunciation. She uttered the anointed word, "Fiat!" which means "Yes"-- a word that can be reechoed in our daily life with whatever we face and especially in troubling circumstances....just like Mary, all lifted up and offered to Him knowing that as we offer this to Him we are emptying ourselves and allowing Him more room to work--to do His holy work--within us. When Mary asked how it was possible for her to conceive a child when she had no husband the angel reassured her by saying, "The Holy Spirit will come upon you, and the power of the Most High will overshadow you." These words are so powerful! I was directed in a week long silent retreat to pray this way. Have you ever thought of praying like this in your daily life when you need direction--when you need inspiration? I hadn't, but now I do! Say, for example, you don't know exactly what to do about the problem of how to respond to your child's disappointing behavior. The very same prayer in any moment can be said, "Come Holy Spirit, may the power of the Most High overshadow me." And wait in silence, wait in prayer for the answer. And if nothing comes to you then ask the Lord to reveal it to you as you go about the day. It is my experience as I have practiced this more and more as a daily habit that wonderful ideas fill me and surprise me. The Spirit, is with us always--not out there, but right within us, waiting for an invitation to do a deeper work within us. The Annunciation story continues as the Angel Gabriel further tells Mary that her kinswomen, Elizabeth, who was called barren, has also conceived a son in her old age and that "nothing is impossible with God." As the Lord made Elizabeth fruitful after many years of being unable to bear fruit from her womb, so He can cause us to bear fruit where no fruit has been as we "live on in Him and He in you." (Jn 15:4) And so whatever seems impossible in our life right now is something we can surrender to the Lord, asking the Holy Spirit to come and standing in faith on His promise of His word. 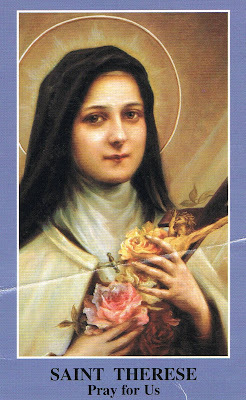 Mary stood on the promise of His word and like a handmaid she, in utter humility and total trust, surrendered her human will to the Father's divine will. In January of 2002, leaders of various faiths and widely differing beliefs gathered to pray for peace. 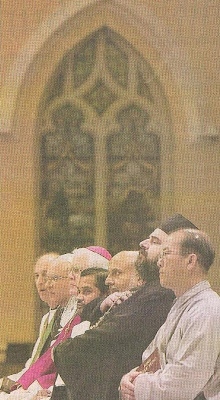 What an unusual sight to see representatives of the world's major religions--Hindus, Buddhists, Jews, Muslims, Catholics, Protestants and Orthodox Christians--sitting side by side in the same sanctuary of a Catholic cathedral in Tulsa, Oklahoma. Upon the request of the late Pope John Paul II, Roman Catholic Bishop Edward J. Slattery called the leaders together. "We're here because we believe in the possibility of peace," he said. Each leader was given about seven minutes to pray for peace according to their own tradition. Rev. William Christ, pastor of Holy Trinity Greek Orthodox Church, said, "We're always looking outside ourselves to make peace. If we want to transform the world, we must start by looking at ourselves. Only when we find peace within ourselves can we expect peace to come about in others." He quoted St. Seraphim who said, "Acquire the spirit of peace, and thousands around you will be saved." Archaka Swamy Venugopal Swamy Gattu, priest of the Hindu Temple, chanted Hindu scripture that listed sins to be avoided--pride, envy, gluttony, lust, avarice, sloth--and the virtues to cultivate--righteousness and truth-speaking. He instructed his listeners to "try to cultivate love in your heart; a man without love is lifeless. If you find someone who is suffering, make all effort to give him solace." Nguyen Van Hoa, from the Buddhist Temple, simply removed his shoes and stood in silence which spoke volumes, then chanted with the sounds of a bell and small drum. Rev. Floyd Schoenhals, representing the Evangelical Lutheran Church, said Jesus Christ is the fulfillment of the promise of peace on Earth. Jesus' gospel of peace, he said, heals broken relationships and creates a new humanity. The promise is for the reconciliation of all things in Christ. Rabbi Howard Schwartz, prayed a prayer he learned in Hebrew as a youth, asking God to make Israel a messenger to the people of the world and the United States a stronghold of peace and advocate of peace to the nations. Bishop Slattery said there can be no peace without justice and no justice without the forgiveness demonstrated by Christ, who forgave those who crucified him. Clergy members came forward at the end of the service to sign a commitment to become instruments of peace. Wouldn't it be wonderful if we all committed to becoming instruments of peace? One of the most popular topics for the Women of Peace Workshop/Retreat is self-talk. Time after time this is women's number one choice. So what do you say when you talk to yourself? Is it generally positive or generally negative? Are you kind and gentle? Or do you put yourself down? What thoughts that come into your mind do you choose to entertain? Once when I needed some spiritual advise I went to a wise woman. I'll never forget what she said. "We can not control the thoughts that come into our minds, but we can choose to entertain them." Before that I mistakenly thought that I shouldn't even have certain thoughts, but after her guidance I realized that the choice was mine to dwell on something. That truth set me free. So what is true about ourselves? We are a beautiful child of God. We have been given many gifts. The Spirit has been given to help us in all things. Not just some things-all things. That's the truth. It's a lie to think we're ugly or stupid because the Spirit within us gives us knowledge and wisdom and beauty. Sometimes we beat ourselves up unnecessarily and waste so much energy that could be used for other creative endeavors. Well, it's not just negative thoughts about ourselves but how about others? When someone annoys or angers us do we begin to let one negative thought lead to another and another until we are completely in a stew? Why not stop the thought processes at the beginning and choose to think about something good and lovely? It's again our choice, and it can apply to the varied circumstances of our lives. Being our own best friend is good and healthy, so we must be kind to ourselves and treat ourselves with compassion. When we look at our face in the mirror, we can easily focus on the wrinkles and think, "Yuk, I'm losing it." But we can also just as easily look and tell ourselves, "What marvelous character lines that speak to my life's story." We have to reassess the value of the lines in our face and see with new eyes the greater meaning. Again, what messages am I sending myself? Negative thinking can be habitual, but like all bad habits, even addictions, they can be broken. With prayer, perseverance, the grace of God and the right choices, we can become all we are called to be. So let's be mindful of what we say when we talk to ourselves and make better choices to think on "whatever is true...excellent or praiseworthy." "May today there be peace within. May you be content knowing you are a child of God. Let this presence settle into your bones, and allow your soul the freedom to sing, dance, praise and love. It is there for each and every one of us." "After Holy Communion one day He made me understand the significance of these words in the Canticle of Canticles: 'Draw me: we will run after Thee to the odour of Thy ointments.' So, Jesus, there is no need to say: In drawing me, draw also the souls I love. The simple words "Draw me" are enough! When a soul has been captivated by the intoxicating odour of Your ointments, she cannot run alone. Every soul she loves is drawn after her--a natural consequence of her being drawn to You." In other words, when the Lord draws us closer to Him, our friends, children, husband, siblings, and parents are in turn drawn to Him. A vivid image and experience of surrender came flooding into my mind's eye this morning. My husband and I were standing at the altar of the Monastery of Our Lady of the Cenacle with arms outstretched as we did on our thirty-first wedding anniversary last December when renewing our Benedictine oblation. Or in a child's words, "Papa, I am yours!" ﻿Oh, the grace and peace in surrender, in the free act of offering ourselves to Him anew. ﻿How staggering to think of the tragedy that has fallen upon the country of Japan. One catastrophe is enough, but to suffer three simultaneously--earthquake, tsunami, nuclear plant crisis--is beyond comprehension. I have a beautiful friend from Japan who lives here in Tulsa now. Her name is Sr. Maria Paula. She is a Catholic convert from Buddhism. When I wrote her to tell her how much her people were on my mind, she suggested I write a little poem about it. And so I simply did. On brothers and sisters in Japan. from them, O Lord, do not depart. and place them in your loving cup. they'll rise again despite quake and flood. and offer now each word and deed. many missing once at their side. the sorrow and grief, so truly sad. no more hardship can they afford. come quickly, Lord, do not depart. My husband and I are Benedictine Oblates with the Monastery of Our Lady of the Cenacle here in Tulsa, Oklahoma. Yesterday we met with Father Mark Kirby, the Prior, for an explanation of The Rule of St. Benedict on Lent. Father Mark reminded us that Benedictine life is "an infirmary not Olympics. The Father monk applies the appropriate remedies to the other monks. God came to heal the sick and St. Benedict was fully aware of our human weaknesses and our tendencies toward discouragement." The Rule continues, "...and to wash away in this holy season the negligences of other times." This is a time of reparation, a time to make up for sins, especially those of omission. The sins we commit by failing to do something, like not reconcile with a friend or relative, for example, or reach out to a neighbor in need. "Compunction of heart" is something St. Benedict stresses for Lent. Allowing our hearts to be open and touched. It is humility and contrition that bring us closer to God. Adding to the "usual measure of service," St. Benedict encourages us to abstain from food and drink. Father Mark explained that means to go without something, but to do it in moderation. "Our usual measure of service," he said, "is our worship. Everything is worship. It's all integrated and everything is sacralized." We offer to God an oblation--a free act of self offering--"with the joy of the Holy Spirit," wrote St. Benedict. 1 Thess 1:6 Yes, Lent is a time to have the joy of the Lord, the joy of spiritual desire--Holy Pascha. And finally St. Benedict warned against doing anything with "presumption and vainglory," so Father Mark recommended for those who are married that we seek our spouse's approval for our spiritual observances. This will help safeguard peace and harmony in our marriage relationships. What a beautiful time of year during Lent to reflect upon the goodness of the Lord and all He has done for us. St. Patrick, of Ireland, loved the scripture verse, "What return can I make for all the good You have done for me?" 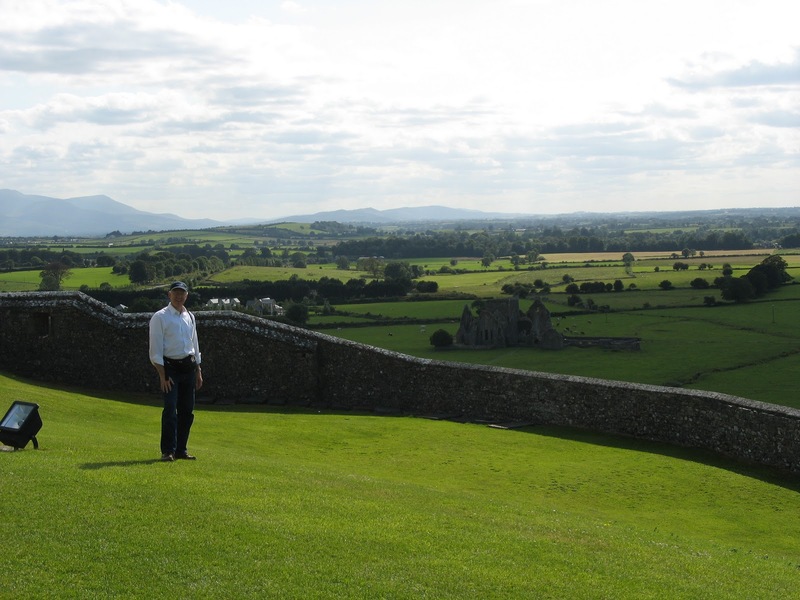 Ps 116: 12"
Coming home from a 2006 pilgrimage to Ireland, the theme of which was "Follow in the Footsteps of St. Patrick," I read his Confession... on the airplane. Inspired by him and his writing, I wrote these questions so that I could reflect on the answers for my own life. I pray they may be of benefit to you. 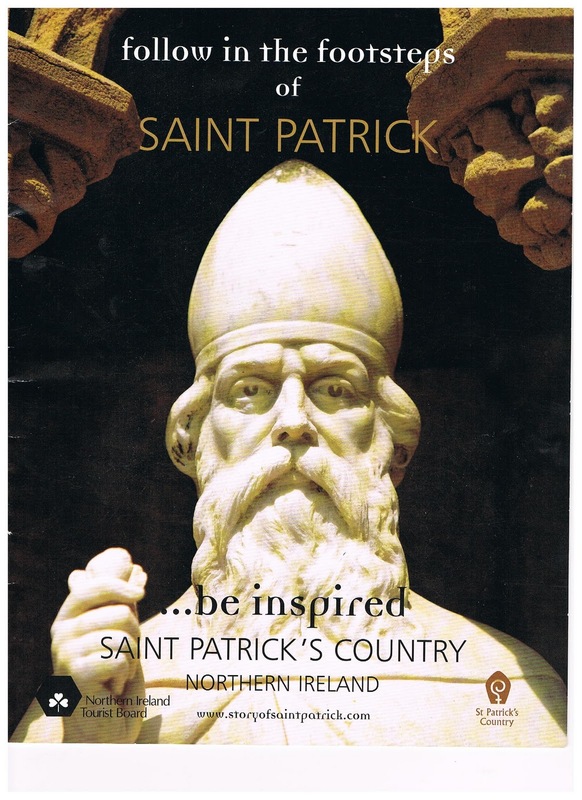 St. Patrick saw all he had as a gift. Do I see all I have as a gift from God? Patrick spoke of converting with his whole heart. Have I converted with my whole heart? to convert with my whole heart? Patrick spoke of making a return to God for all his benefits. for all the good he has done for me? Patrick’s writings were out of the thanksgiving of his heart. How will I demonstrate my thanksgiving to God? Patrick was prepared to give his life without hesitation. Am I willing to give even my life? If I am not, do I pray for this grace and strength? Patrick said God had mercy on him thousands and thousands of times. How has God shown his mercy to me? from the time I was born unto now. Patrick prayed for perseverance to be a faithful witness to the end of his life. Do I pray for perseverance? Do I truly want to be a faithful witness? St. Patrick was unlearned; he had not had an opportunity to study like other men. how much more responsibility do we have? Patrick stressed that God had poured out the Holy Spirit abundantly upon him. 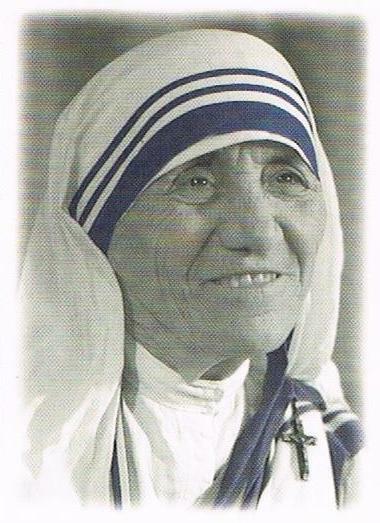 At the 1976 International Eucharistic Congress, I had the opportunity to hear Mother Teresa speak to the people gathered in Philadelphia, Pennsylvania. Her simple yet profound way of speaking had a powerful effect on me. The words she spoke still echo within me today almost thirty-five years later. "The poorest of the poor are often in our own homes," she exclaimed. Those were prophetic words for me. Instead of joining her Missionaries of Charity in Calcutta, I realized I didn't have to go far away; there was plenty to do where I was. "A smile is the beginning of peace," she used to say. Mother Teresa didn't have to say much. God spoke through her and the words had tremendous life. My vocation became teaching children with special needs who had severe and profound disabilities. Once I worked at a school where we served little ones birth through three years of age. They couldn't talk, walk, or feed themselves. A three year-old boy named Matthew had a profound effect on my life. He lived what Mother Teresa taught. Every morning he would crawl into my classroom from an adjoining room...crawl because his legs were too deformed to walk. Using his upper body strength, looking a bit like a mermaid from the rear, he grinned ear to ear and said, "Good morning!" "If I can't wake up with a smile and a cheery attitude, then I have a problem," I'd think to myself. Even to this day, I see his face clearly. Now I can't get the smile off my face. "A smile is the beginning of peace." And peace is the way. Our love is an endless season." The words on darlin' and my wedding invitation. The dying, rising, and going forth. 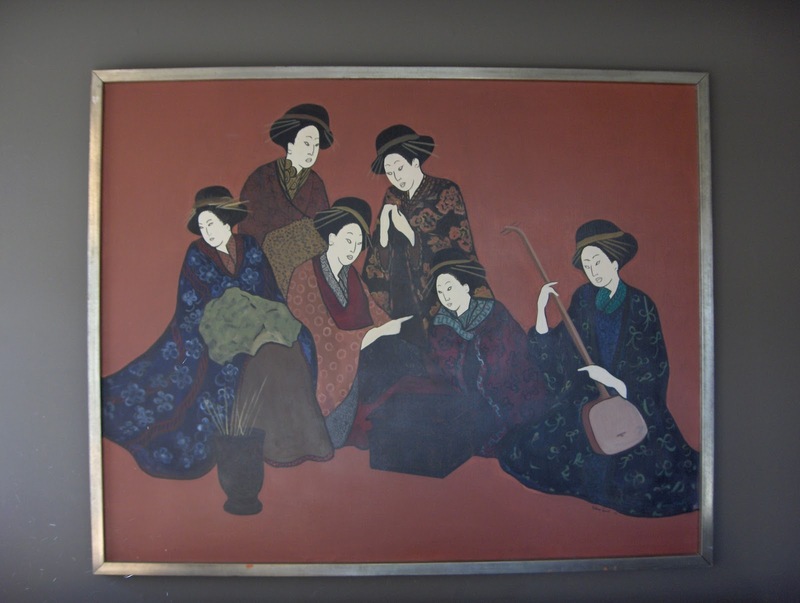 Four Japanese woodblock prints hang in our dining room. Each depicting a certain season. The seasons of our lives. until our life on earth ceases. the earthquake, the tsunami, the storm. The seeking, straining and calling for help. The cry, the wail, the sobbing, the repent. Spring, the blooming and flowering, the warmth and the rain. The sight of new life. The birth from the wait. The warmth of the sun. The fruit of the labor. Summer, the continued sunshine, the harvest reaped. The ordinary and the stability. and the obedient service to humankind. the glory, then quickly the fading. the hope of the spring. for the "peace..beyond all understanding,"
Last Tuesday, March 8, 2011, the 100th anniversary of Women's Day International, over twenty women rallied together at the River Parks Pedestrian Bridge in Tulsa, Oklahoma U.S.A. in our first "Join Women on the Bridge" campaign. Despite the drizzly weather we dressed warmly carrying our umbrellas, signs and banners. Radio and TV stations were there too and we were grateful for much news coverage of the event which brought more attention to the issues of women in war-torn countries, for which we were rallying. Our special guest speaker here in Tulsa was Leah Farish, a civil rights attorney, who has worked with the women in northern Africa. She brought a quilt with bright orange and yellow squares that the women of Algeria had made. Leah had promised them she would tell everyone she could about what was going on there. 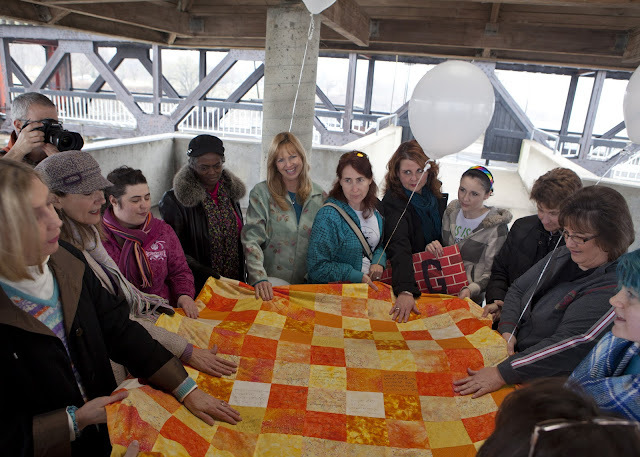 Before the end of the rally, a woman spontaneously suggested that we hold on to the quilt and pray for those women and all women in war-torn areas of the world. New friends were made that day. Women, from teen-agers to some in their eighties, came together in a show of solidarity for our "sisters" who are suffering. 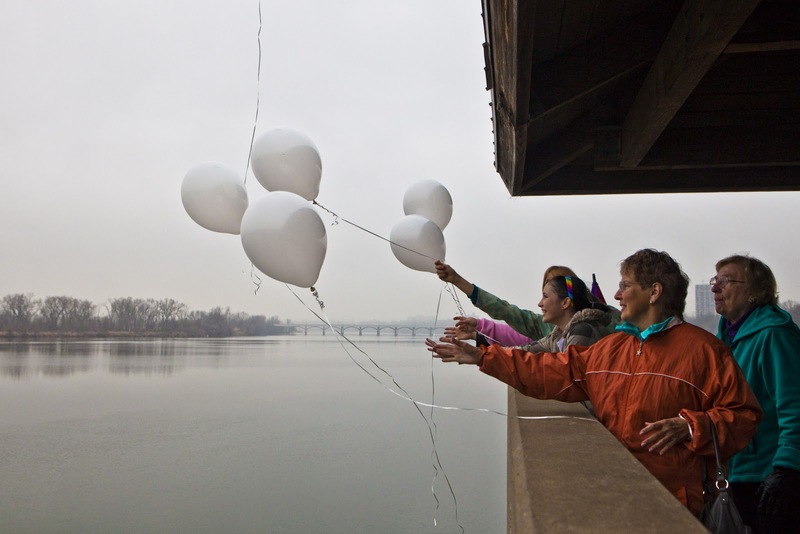 The dozen white balloons were let go. We watched like children as they drifted off into a sky that seemed to know that heaven and earth had bridged together that day. Today I am reminded of the book Everything I Need to Know I Learned in Kindergarten. Monday through Friday in the weekday afternoons, I work for two hours in a school a hop, skip and jump from my house. 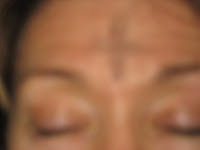 Since it's Ash Wednesday, I arrived at school with ashes on my forehead that I received at Mass this morning. "You have black right there," pointing to my head. "What is it?" I asked him. I said, "Like I'm sick?" And another chimed in, "There's black on your brows. I don't know what it is. It looks like black hair." When I said, "Look again," then someone saw the cross. "A cross," I questioned, "why would that be there?" A kindergartner replied, "Cuz God's been there." And another child said, "Does God really be there?" So the other child informed him, "If it has a cross--then God's been there." "That's not true," said yet another. So I asked, "Do you know what that means?" And the child said, "If you love the cross, God will come to you and put a cross on your forehead...cuz it reminds you 'bout God and the cross he died on." "How did you learn that?" I inquired further. "Did someone teach you?" "No, I just know it! Wherever you go you can remember the cross." His buddy said, "God died for our sins, probably that's how you got a cross on your head." "What did He make us out of?" I questioned them again. "Sticks and bones...and blood," they all decided. I didn't have the heart to tell them "from dust we were made, to dust we shall return." The kindergartners left and the third graders arrived. "There's a cross on your forehead; it looks like you have a bruise." "Oh," I seemed puzzled. "What does that mean?" "God might be showing you a sign that you're doing well and he wants to praise you today." And another student, "Are you thinking about people who died in your family?" The first girl insisted, "He's trying to tell you a story." The other girl continued, "I can't understand why it should be black instead of red." Their answers came spilling out. "Jesus blood. There was blood running down the cross." So I told them why I received the ashes today..."From dust you came, to dust you shall return..."
Then someone posed the question, "How did people get invented?" That half hour was over and the fifth graders arrived. They too saw the cross. Immediately, one knew it was Ash Wednesday. "Did you get baptized?" another asked me. "My sister got a cross on her forehead when she got baptized." She got straightened out by the boy who knew it was Ash Wed. He told her it was "a thing at church." So I told them that when I received the ashes these words were said, "From dust you came, to dust..."
"I'm filthy" one fifth grade girl blurted out. Then looking down, and then back up with a smile, said "rich!" "Donna Wuerch = A Woman of Peace. Are you kidding? That just does not describe someone who was given the title of "Martha" by my husband, children, other women and my pastor so many times. I've been the worker, the doer and the fixer so much of my life. Just "being", or in the case of Mary, sitting at the feet of Jesus - basking in Him - the Prince of Peace, did not fit in with my busy schedule. "After all... .someone had to prepare the meals, clean up afterwards and plan the next event!" At least that's what I thought. In April, 2010, we received the doctor's call that said, "Ron (my husband) has Stage 4 Kidney Cancer". Yes, it was a shock to our entire family and friends. But, instead of being in that place of insurmountable despair, worry and concern, I found myself covered by a sweet "blanket of peace". For almost eight months, through six surgeries, treatments, doctors' appointments, tests, then hospice, to ultimately, my Sweetheart's graduation to heaven, I have known the "peace that passes all understanding". How is it explained? For many, many years, even though I was so busy attending to the many things that life requires, I still planted God's Word deeply within my heart. In our faith tradition, we sign ourselves with the cross on our foreheads, our mouths and our hearts at the time of the Gospel reading. In so doing, we are saying, "I receive the Word in my mind, in my mouth and in my heart." That is exactly what I did. I read God's Word, believed it was true, spoke it and meditated on it. I was planting words like Isaiah 26:3 "Him I will keep in perfect peace whose mind is stayed upon me. "; John 14:27 "Peace I leave with you; my peace I give you. I do not give to you as the world gives. Do not let your hearts be troubled and do not be afraid. "; Philippians 4:6,7 "Do not be anxious about anything, but in everything, by prayer and petition, with thanksgiving, present your requests to God. And the peace of God, which surpasses all understanding, will guard your hearts and your minds in Christ Jesus." And, after the planting, I received a bumper crop harvest of peace, and that peace continues to guard, sustain and keep my heart and my mind, even to this day - three months after my husband's passing. Yes, I am a Woman of Peace. Perhaps, I am still a little more "Martha", than "Mary" - but, daily, as I purpose to break away to embrace Him, my Prince of Peace, and sit in His presence...just a little longer, then I will start to bear a striking resemblance to Him. Maybe, then, I'll become known as His 'Princess of Peace'." love, praise, adoration, and thanksgiving. to the pulsations of your heart. so that many souls may be saved. Amen." Prayers and Heavenly Promises by Joan Carroll Cruz. May we be closely united to Him today in our hearts and actions. In 2001 my mother and I were boarding a flight from Dallas to Mexico City on a pilgrimage to the Shrine of Our Lady of Guadalupe. As we walked down the aisle on the plane I was looking ahead to locate our assigned seats. As we got closer and closer I could see a very unusual sight. Sitting next to my mother's assigned seat was a man whose face was completely covered in fur-like hair. Astonished and concerned for my mother I sat down next to him and had my mother sit across the aisle. I felt extremely perplexed about who this person was and if the fur-like hair on his face was real, or if he might be playing a joke and wearing a mask. I didn't want to stare so I just peeked from time to time. I would ask myself, "Is it covering his whole face?" I'd peek and look again. Then another question, "Is it on his hands?" Peek and look again. It was so strange, so unusual, so uncomfortable that I didn't say a word to him. The stewardess came along and for some reason asked the man to change seats which he did. Throughout our pilgrimage this man's face was in my mind's eye. I found out later that he was part of a Mexican family who for five generations has suffered from a very rare condition known as hypertrichosis which causes an excessive amount of body hair primarily from genetic factors. The family has been segregated from Mexican society and can only obtain work in the circus. The brothers are known for their daredevil acts in the Mexican circus. Some people perceive them as wolves--insulting them, howling at them, saying unkind things to them--treating them like people from another world. One of the young men of the family, quoted by the US News, said, "I don't take it seriously. I know who I am inside." Profound--utterly profound, "I know who I am inside." How many of us with no obvious abnormality can make such a statement? I deeply regret missing my opportunity that day to meet a special man, to speak kind words to him, to treat him with dignity and respect. He came to me as significant gift and I will never forget him. May we have the grace like him to know and be at peace with who we are on the inside. Next Tuesday on March 8th, thousands of women across the globe will be meeting on bridges in a second annual "Join me on the Bridge" campaign building bridges of peace and calling for an end to violence against women in zones of conflict. In 2010 over 20,000 people took part in 119 events across 21 countries. This year thousands more are expected with 200+ events confirmed. We will be gathering from China to Australia, Europe to the Congo, Mexico to Pakistan, Russia to the U.S. carrying signs and banners with messages of peace that read, "No to War," "Stop the violence," Yes to Peace." 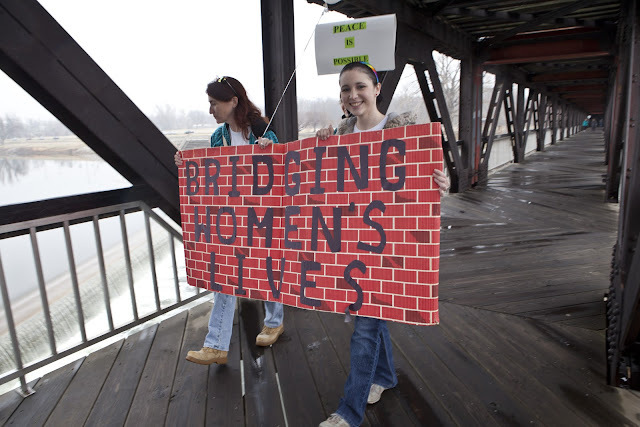 Many women in places like the Congo and Rwanda will be walking for hours or days to get to their bridges. To demand a seat on the High Peace Council, known as 'the Jirga'. The Jirga is negotiating with the Taliban at the expense of women's rights. 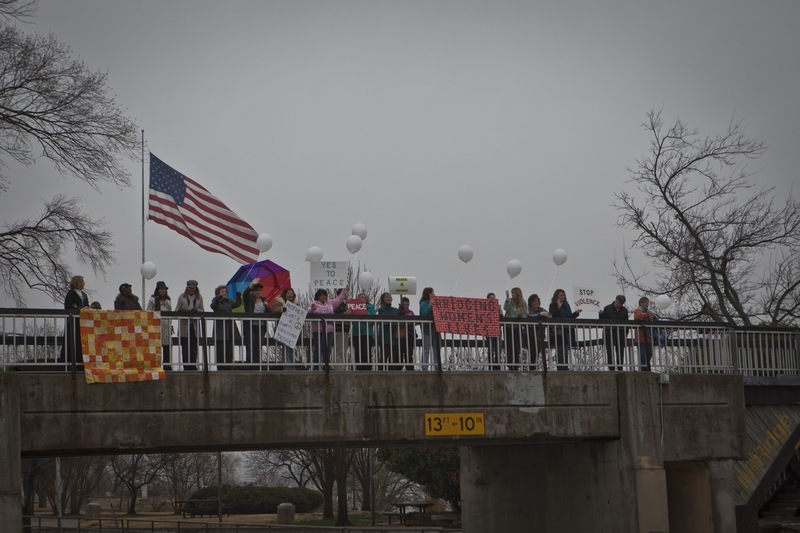 We will stand strong, here in Tulsa, Oklahoma U.S.A., on Tuesday, March 8th at 11 :00 AM on the River Parks Pedestrian Bridge, as a sign of unity and our commitment to help build bridges of peace across the world today. We can not turn a deaf ear or close our eyes to the suffering of women in this world. Some may be next door to us; some may be in our own families. A women who is suffering violence and abuse and in despair needs another woman to tell her that there is hope for the future--that their lives can find new meaning and purpose, and that with support of others they can rebuild their lives. I encourage you to open it and click on the video in the upper right corner. There you will see for yourself the images of women who are telling their stories and causing our hearts to be changed forever. There's a beautiful song I've been singing lately called "You are my Hiding Place" by Michael Ledner. The words say, "You are my hiding place. You always fill my heart with songs of deliverance, whenever I am afraid I will trust in You. I will trust in You. Let the weak say, 'I am strong in the strength of the Lord.' I will trust in You." It reminds me of some prose I wrote in 1996 that I'd like to share with you. 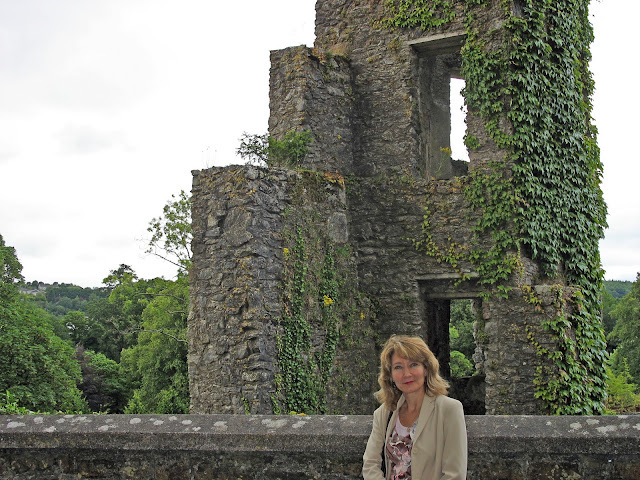 I had retreated to a chapel--a "hiding place"; somewhere I could have some peace and quiet. Particularly for you young mothers, I remember the whirlwind of motion going on in our lives at that time. The children's extracurricular activities kept us constantly on the go. I look back on that period and think, "How did we do all that?" O restful haven, an oasis in the desert. Here I come to surrender myself to you. the rich and poor parts of me. no one on earth can equal that. 0 how happy I am to be with You. Great Lover, 0 that You are! renewed by the springs You promised. alone are You in this. Your grace has drawn me to this place. my children depending on me. of unwanted self and pride. who breathed life and energy into me in the beginning. Breathe life into me as I surrender to You, Lord. to fall into your loving embrace. and give me childlike trust in my Father's arms. traveling above time and beyond gravity. and I want to love You in return. May we truly find that hiding place--that home within--where we feel peaceful, protected, and refreshed. "I believe scripture teaches that peace begins with faith. We see in Romans 5:1 that we have peace with God because of our faith in His work to present us justified before the Father through Jesus Christ. "Therefore, since we have been justified through faith, we have peace with God through our Lord Jesus Christ." When we accept Christ as our personal Lord and Savior, we are brought into a right relationship with God; We are justified. We are made righteous through the shed blood of Jesus Christ. Can we really have true peace with others if we have not been reconciled to God and enjoy peace with Him? All through scripture righteousness and peace are linked together. We read in Isaiah 32 that peace is the fruit of rightheousness. So taking that in a logical sequence of events, it seems that if we are attuned to right living (making the choices of doing what is right because of the provision of Jesus), then we can expect peace to follow. Hard choices and right choices are not always easy but they are always possible. righteousness and peace kiss each other." his righteousness live in the fertile field. its effect will be quietness and confidence forever. in undisturbed places of rest." seek peace and pursue it." True peace is about so much more than just the absence of conflict. It encompasses seeing that all of God's creation operates in quiet harmony. I am always reminded of Mother Teresa when I think of true peace. She went about doing good, bringing peace and understanding but with a firm resolve that what society deemed as the "lowliest among us" should be treated with utmost respect and cared for properly. When seeking peace, we are seeking the face of God Himself manifested through our Lord and Savior, Jesus Christ. Maybe that is what it means when scripture says, "Righteousness and peace kiss each other." Righteousness is God, I have His peace because of Jesus--I am kissing the face of God." What a beautiful expression, " I am kissing the face of God." May we all long for this. 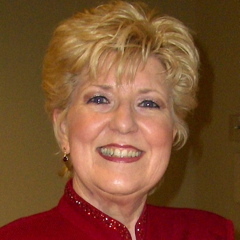 To access Dianne's blog site, click here.